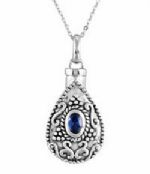 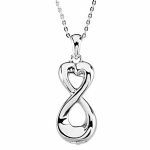 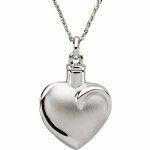 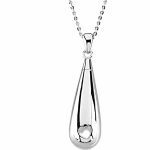 These unique and hard to find Sterling Silver Cremation Necklace Pendants are empty vessels that can hold precious mementos, such as cremains-ashes, hair, flowers, fabric, or soil from a special place. 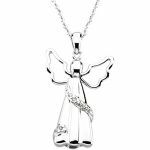 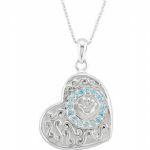 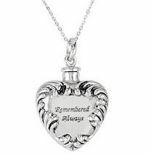 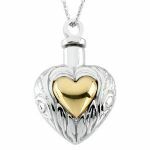 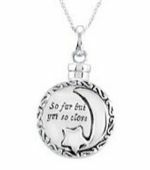 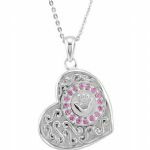 They are a heartfelt sympathy jewelry gift or funeral gift to help the bereaved keep their loved one's memories close to them. 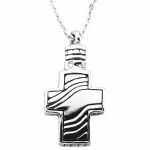 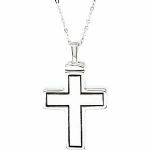 Each sterling silver pendant comes with a sterling silver chain, black pouch, funnel, gift box, and a card with a verse from scripture. 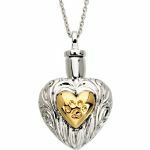 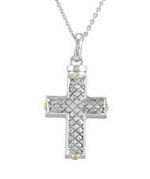 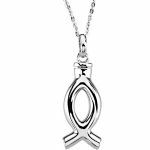 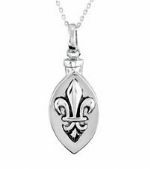 We recommend that your local funeral home professional fill the pendants with the cremains. 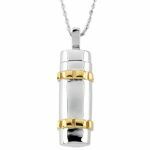 These pendants can be sealed by placing a little permanent glue on the threads of the screw closure, or by having your local jeweler add some silver solder to the closure.